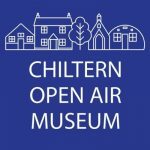 Chiltern Open Air Museum is an outdoor museum of over 30 historic buildings. The museum rescues and reconstructs threatened historical buildings onsite using traditional methods. The museum site is 45 acres and includes a traditional working farm with livestock, woodlands, and a hidden meadow.